Younger generations in America are leading a consumer revolution. They want to buy from brands that care about and demonstrate sustainability in their products and services, and in all they do. Millennials and Generation Z (Gen Z) are making it known that sustainability and green living are more important than almost any other consideration in making decisions. That behavior is in stark contrast to earlier generations who typically prioritize monetary cost. Three in four Millennials are willing to pay more for products that are sustainably-sourced, rather than looking for the cheapest price, according to the Nielsen Sustainability Imperative. The same statistic applies for Gen Z-ers—though a relatively new buying group, more than two thirds consider sustainability when making a purchase and are willing to pay more for sustainable products. In response to clear consumer demand (nearly half of American citizens say they will likely change their buying patterns to reduce their effect on the environment), companies are changing their behavior. Products that are reusable, sustainable, waste-free, and ethically-sourced are in higher demand than ever before. Big brands are becoming more environmentally conscious and shifting to renewable resources. Google is going carbon-neutral and is the largest coprorate purchaser of renewable energy in the world. Microsoft is continuing to aggressively invest in renewable resources—especially wind farms. And even non-tech companies like Walmart and Home Depot are investing in renewable energy. Companies that want to stay attractive to job candidates are sitting up and taking notice of what younger generations are looking for in their employers. 9 out of 10 Millennials consider sustainability a key priority in choosing jobs. They also tend to drive their workplaces toward more sustainabile practices. Forty percent of Millennials have chosen one job over another because of a company’s sustainability, and 70 percent of Millennials said a company’s sustainability would affect their decision to stay there for the long term. Gen Z is, if anything, even more committed than Millennials. 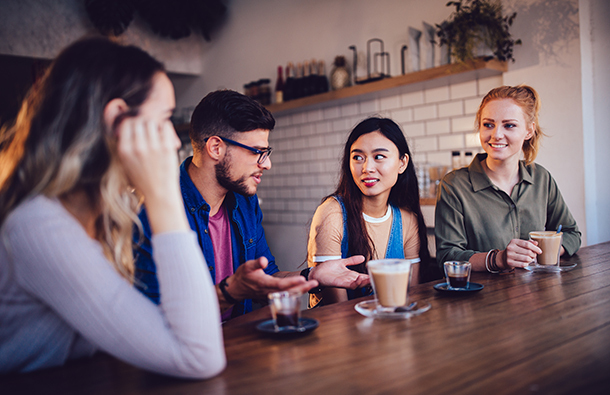 A 2017 survey found that 94 percent of Gen Z believes that companies need to address environmental issues, and that 30 percent of Gen Z is willing to take a 10 to 20 percent pay cut to work toward a mission they care about. The 2018 mid-term elections highlighted the imperative that the country—especially younger voters—feel toward decreasing carbon pollution and increasing sustainability. These often first-time voters are electing younger, more diverse, and more science-savvy leaders, both in Congress and in local government. Millennials and Gen Z-ers are creating positive change from the bottom up, and there are no signs of it slowing down. That’s good news for brands who care about using business as a force for good (like us, here at CleanChoice Energy)—and it’s also good for the planet. CleanChoice Energy works to fight climate change by supplying 100% renewable energy from wind and solar power to our customers. Learn how you can switch your home or business to clean energy today.